[By Nick, New for 2014] Back when I was on the look out for Breyers Peppermint Cookie flavor, I happened to stumble across another new flavor instead. To say i was surprised would be an understatement since other than Haagen-Dazs recent release of their gelato bars, companies don't typically release new products that aren't limited edition in the fall time. Honestly though, I had little interest in picking up the Sea Salt Caramel flavor. I mean not only have I've had a ton of sea salt caramel products this year, I'm a not so silent hater of frozen dairy desserts. So I passed it up and went on with my business. Recently though, Breyers was on sale for $2 a piece at a local store so being the cheap person I am, I took Wal-Mart up on their price match policy and decided to bite the bullet. You guys can't say I've never done anything for you now. ...and when I dig down nothing changes. The salted caramel base is actually well executed in flavor. 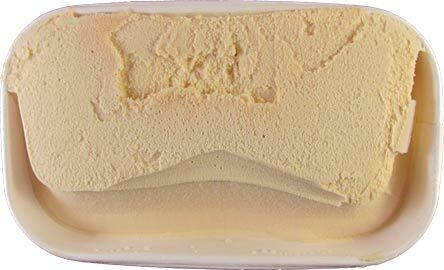 The saltiness is way better than what I encountered in their Salted Caramel Swirl flavor I reviewed earlier this summer. The caramel swirl isn't all that evident but I'm just going to chalk that up to it being mixed too much into the base. The main problem here is the texture. 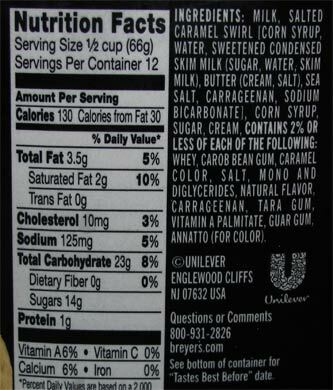 While Dubba and I had hoped that maybe Breyers had improved their FDD consistency a bit, this one just isn't the case. It's airy and not all that creamy. ‎Honestly, it's quite unappealing on all levels. Flavor can only play so much of a part but there's no redeeming the texture of this one. No matter how long it sits out, it just wouldn't get as creamy as I was hoping. Meh, Breyers please just go back to normal ice cream. I don't know how many more of these abominations I can suffer through. I hate frozen dairy desserts and refuse to buy them anymore (even if the flavor looks great). I'll take a pass on this one. Thanks for the review. Breyers lost me as a customer a long time ago, when they abandoned their all natural product line and substituted these frozen dairy abominations. They are horrid, and I refuse to buy them. 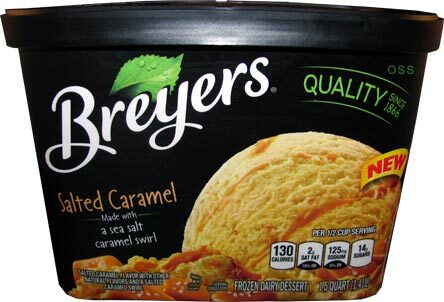 I love this Breyers Salted Caramel ice cream! 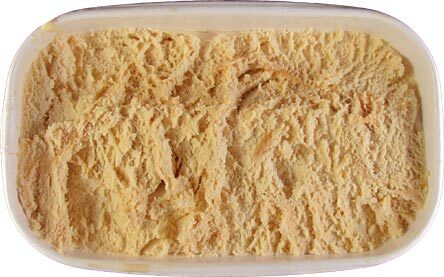 It is my favorite ice cream of all times. On a scale of 1 - 100, I give it a 100! Frozen Dairy Dessert is fancy speak for "cheap thing that's not ice cream". It has less milkfat in it and usually a bunch more stabilizers and air. Some people don't mind, but many of us do mind... a lot.